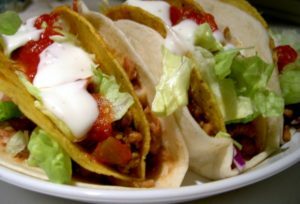 This homemade taco seasoning mix recipe lets you make low carb, low salt or gluten free taco seasoning on the cheap, using spices you probably already have on hand. You can pick up many common spices for a buck at the dollar store and sometimes on sale for a dollar at CVS. 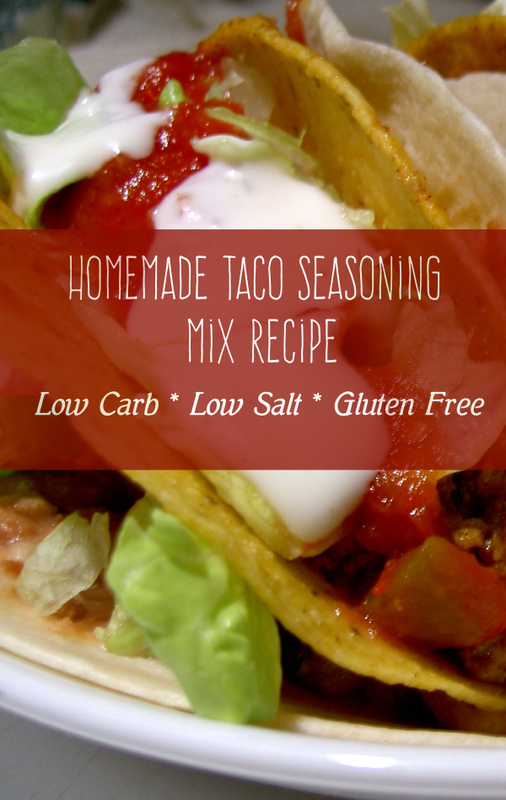 Just make sure none of the spices have added gluten if you’re looking to make a gluten free taco seasoning mix. Lower the salt if you’re watching your sodium. Mix all of the ingredients together in a small bowl and store in a tightly sealed container. To use, brown and chop one pound of ground beef in a frying pan over medium heat. Drain excess fat. Add 3/4 cup of water and 3 tbsp taco mix. Simmer for 5 to 10 minutes. Drain excess fat. Add 3/4 cup of water and 3 tbsp taco mix. Simmer for 5 to 10 minutes. Serve in tacos or taco salad.